1 2 3 4 sale 5 For limited time only! Order NOW and SAVE up to 40% on per unit price! Submission specifications for Window Stickers Add 5 mm bleed. To allow leeway for cutting differences in production, always add a bleed of 5 mm around all edges of your design. Make sure colours, background pictures and layouts extend into the bleed area so as to avoid leaving white lines as a result of cutting tolerances. You can submit your file with crop marks and printer’s marks. Keep 10 mm safety margin. Keep all important text and images at least 10 mm away from the edge of the finished size. White will not be printed. White colors in your design will not be printed. All objects in your design that are white, will have the color of the material on the final result. Resolution of at least 150 dpi. Make sure the resolution of the images and graphics in your artwork are at least 150 dpi. Use CMYK as the color mode. Prepare your files using CMYK as the color mode, not RGB. Use colormode FOGRA39 (ISO Coated v2) for coated papertypes and colormode FOGRA47 (PSO Uncoated ISO12647) for uncoated papertypes. Save your files in uneditable, print-ready file formats. Save your files in uneditable, print-ready file formats (PDF (1.4 or higher), TIFF, EPS, JPG). Deliver your files in one layer: the background layer. Convert fonts to outlines or embed all the fonts. Make sure you convert fonts to outlines or embed all the fonts when saving it to PDF. Fonts should be at least 12 pt. Fonts should be at least 12 pt. Check your artwork on overprint. Make sure no elements in your artwork are set on overprint. Unless you want this effect in your design. The degree of transparency in printing depends on the ink, paper, and printing method used. Here you can find the customized submission specifications for contour cutting. Your design is required to have a contour line set up on a separate layer, and made from a spot color called “cutcontour” of only 100% Magenta in a PDF file. The design should run 3mm outside the contour cut line (bleed), so the design is cut without any white borders. Click here for a pdf file with more information. What is this product exactly? And what can I use it for? What is the fastest possible turnaround? Which production techniques do you use? Which carriers are used for the delivery? I can’t find the product I’m looking for. Please note: Transparent window stickers are not printed with the color white as standard. If you want the color white on a window sticker, please choose opaque stickers (non-transparent) or use our quote form for a customised quote! The selected quantity is the closest to what we have but also the cheapest. We advice you to choose this quantity. Result: Your design will be printed on white adhesive sticker material. Therefore, the unprinted area’s on your stickers will be white. In order to design the perfect artwork for your window stickers, we have created some easy templates. You will find the most popular artwork templates below. Click on the link at the bottom to see all templates. Frequently Asked Questions for Window Stickers What is this product exactly? And what can I use it for? 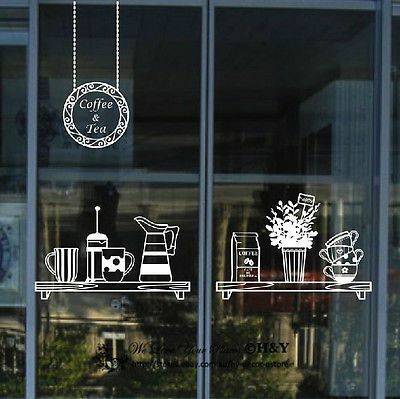 A window sticker is similar to a regular sticker, but can be ordered in large sizes, and are most suitable for applying on windows. The patches have a plastic-like structure. This product is used to / as: Introduce people to your business Promote discounts or events Provide information To sponsor events or sport-locations Show your companies name and/or logo at your premises Advertising stickers for vehicles What is the fastest possible turnaround? The fastest possible turnaround for Window Stickers is: 4 working days To make sure that your order is delivered at the indicated time, it is important that we receive your file with your design for the product, on time (also called cut-off time). In this way the product can be put into production on time. The deadline is always communicated in the yellow bar on the product page, above the “Add to shopping cart” button. The cut-off time for your printed item may vary. This depends on the combination you choose. This has to do with the manufacturing technique and / or the order quantities. NOTE: The product delivery shifts a day every time the deadline for submission has passed. This is also the case if the file is rejected by us and corrected artwork isn’t supplied before the next cut off time. Which production techniques do you use? For the production of your Window Stickers we use the following production technique(s): UV-print: the printing is fulfilled with eco-friendly ink which is cured by means of UV light. This technique is also used by dentists for placing a filling. Curing ensures that the quality is clear and the colors are printed sharp. Latex-print: the film is printed with eco-friendly latex inks. These inks are water based and doesn’t contain harmful substances. The latex film is very secure and sturdy, and will be placed on top of the material. Which carriers are used for the delivery? 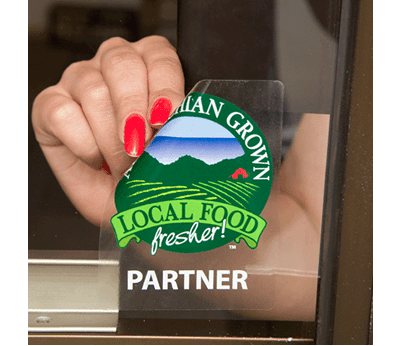 For the delivery of your Window Stickers we use multiple carriers. Because of the highest reliability, in most cases we use: UPS and DPD. UPS Other carriers we use are DHL and even our own courier service. These carriers are used for certain products (depending on the size, the turnaround and the quantity) I can’t find the product I’m looking for. Can I request a quotation? The Window Stickers that is chosen in most cases can be selected via our website. If your material type, weight, quantity, size or other specification is not listed, you can request a quotation. We will send you our offer within 1 working day. Depending on the complexity this can take a bit longer. Which material can I choose? Polymer White (2-3 years): Has an insoluble adhesive layer and is rain and sun resistant. The adhesive is environmentally friendly and has a long lifecycle. Transparant Polymer (2-3 years): Has an insoluble adhesive layer and is rain and sun resistant. The adhesive is environmentally friendly and has a long lifecycle. Can Window Stickers be pasted on any surface? No Window Stickers can not be pasted on any surface. Window Stickers are only suitable for flat surfaces such as paint, glass, aluminium, PMMA, PC and ABS. 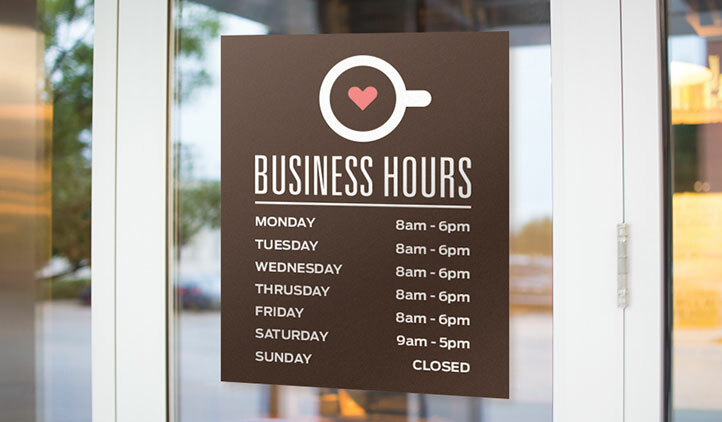 Draw attention to your office or shop with our beautiful window stickers from Helloprint. 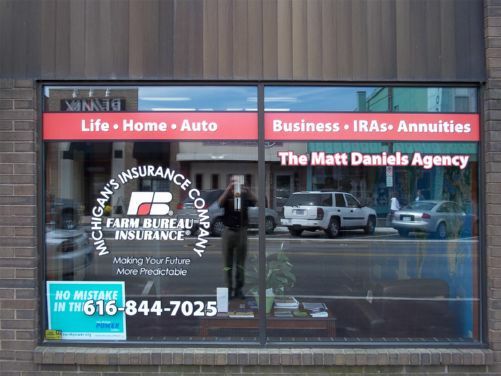 Share your own sales or advertising message on your windows, shop front or glass doors. Whatever your preference is, you’ll find the perfect window sticker here! Clean cut stickers are printed on high quality self adhesive material and then cut to the exact dimensions you want, as long as the angles are straight (rectangle or square). Please note: Contour cut window stickers require specific artwork specifications. 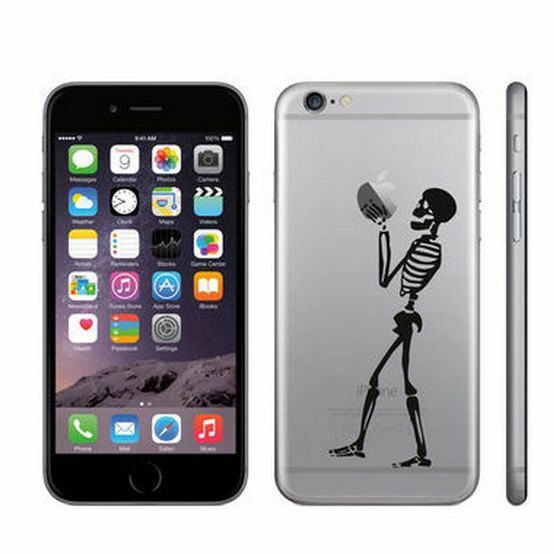 Result: Your design will be printed on transparent adhesive material. The unprinted areas will be transparent and see-through. Note: would you like to put the sticker inside with the image showing outside? Deliver your design a mirror image. Submitting your artwork is easy, simply follow these instructions when you design & upload the artwork for your window stickers. Click on an instruction for more information. Our customer service is experiencing technical problems at the moment and may be harder to reach, we are working on a solution as fast as we can. Our apologies for the inconvenience caused by this.